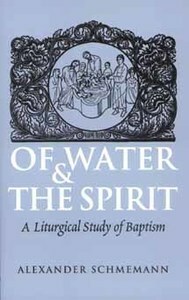 In this study of the Orthodox understanding of Christian initiation, the rites of baptism and chrismation, Fr Schmemann invites us to "rediscover" baptism. 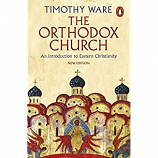 He penetrates the Church's rubrics and rituals'often dismissed as out-of-date or merely quaint to reveal their inner content: a message of man's entrance into new life, into the Church and into the Kingdom. The result is a powerful statement of the meaning baptism should hold in our lives. Father Alexander Schmemann (+1983) was a prolific writer, brilliant lecturer, and dedicated pastor. Former dean and professor of liturgical theology at St Vladimir's Orthodox Theological Seminary, his insight into contemporary culture and liturgical celebration left an indelible mark on the Christian community worldwide."